This center is a simple and affordable space located in Gilbert, Arizona. You can utilize the break lounge space for collaboration and copy and print facilities to get your work done. This center offers furnished office space with flexible terms and a kitchen on site if you are not looking to leave. Grab a meeting room with the team for weekly strategic planning and hook up your electronics for the included Wifi. This center is located in one of the fastest growing areas in the valley and is strategically located to take on the growth. IT is just off the freeway making for easy access coming to and from for the commute. Enjoy the bar and restaurant attractions; be it a break, with the team or for a client outing. This center will not disappoint. Serviced office space located near to many stores and restaurants. This is a landmark building in the Downtown Gilber and includes many cleaning, reception, and conference facilities. Tours of the area are available during the week. 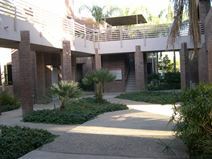 Rental office space located at the Gilbert Town Centre neat to many fine restaurants and eateries. Many facilities are offered such as reception and conference services, well appointed office suites and kitchen amenities.